A blog about things that I like, love, and am passionate about. These are my own personal views and thoughts. 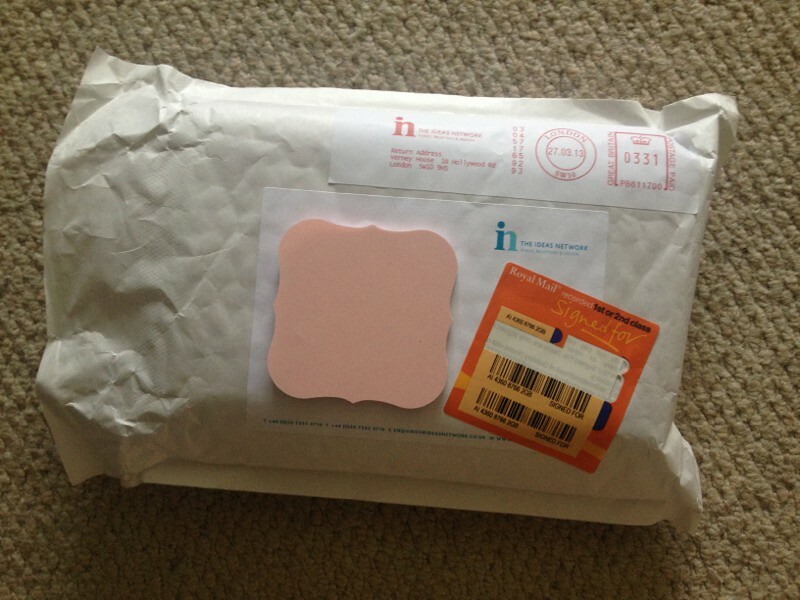 Today I received an exciting parcel in the post from Jess at The Ideas Network. 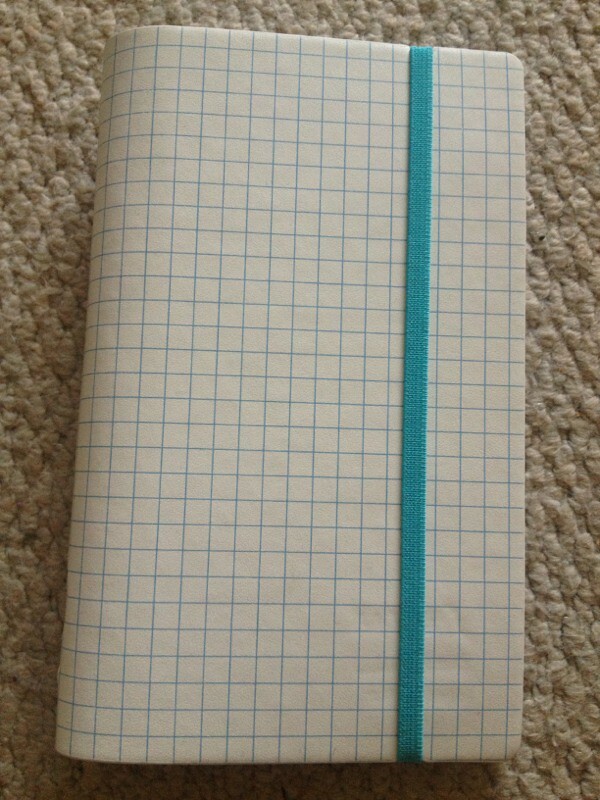 Inside this parcel was a sample (not a sale binder) of a Filofax Doodle for me to review. 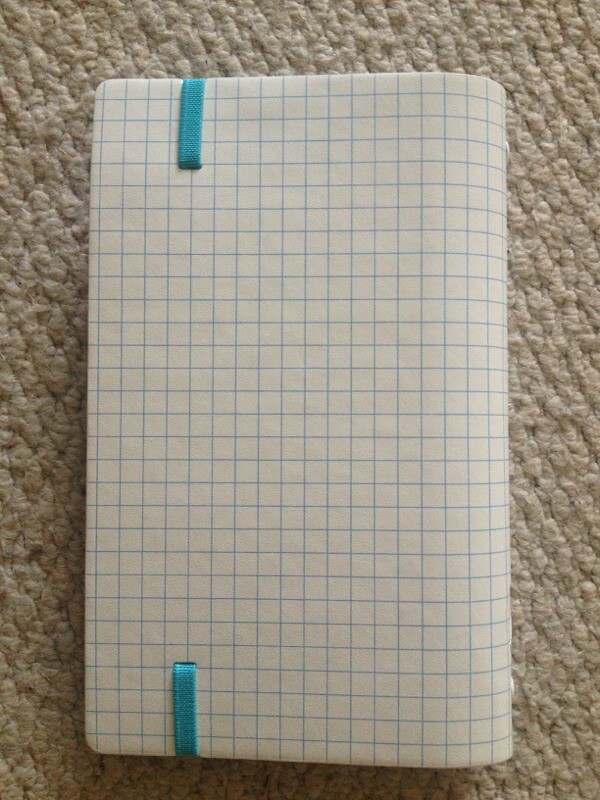 This binder is very much Domino-esque in style on the outside. Same tough durable PU material, but a thicker elastic fastening that runs vertically. 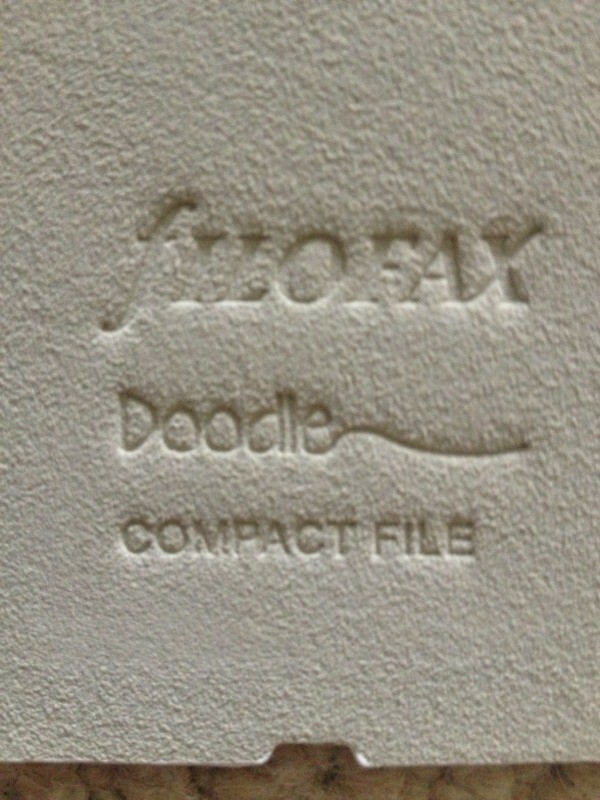 The Doodle is a compact Filofax with 15mm rings. 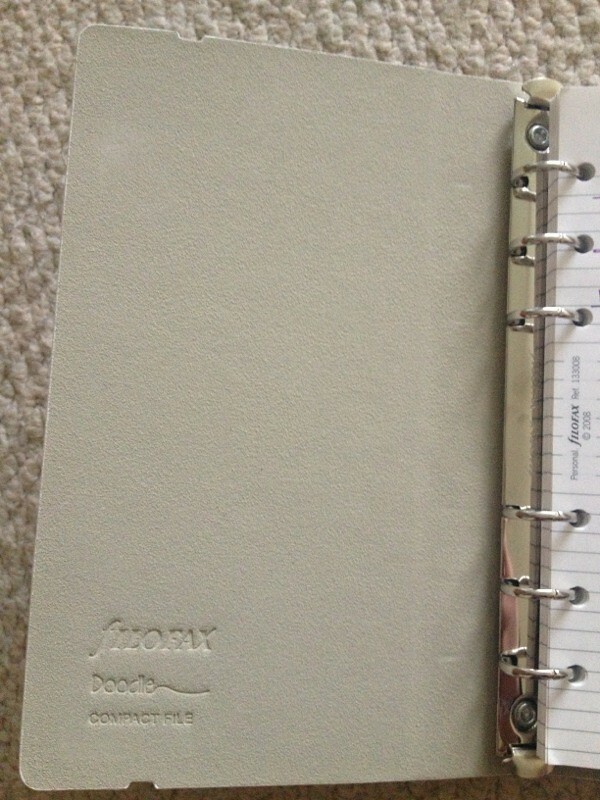 Inside, there are no pockets stitched in as it is can be used more as a notebook if required. 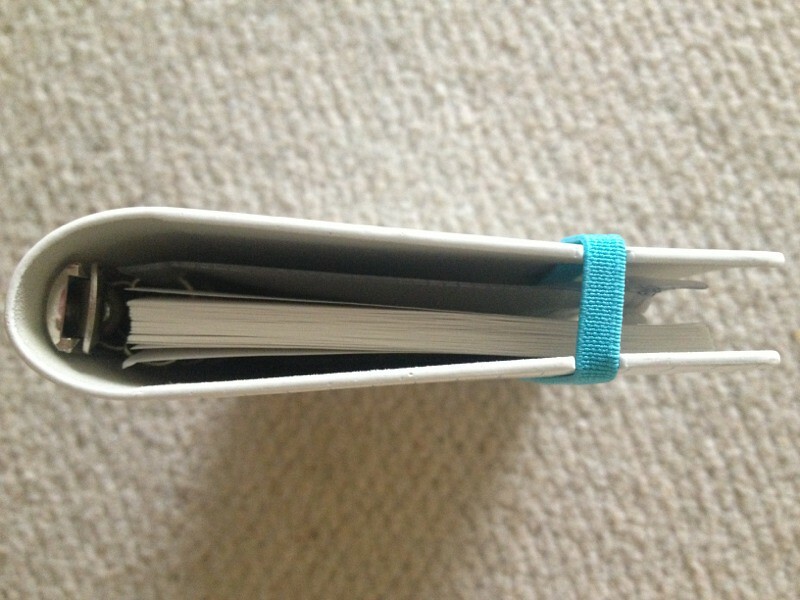 However, it does come with a pocket that has an attached pen loop. This is a fantastic idea, and I think you should be able to buy these separately. 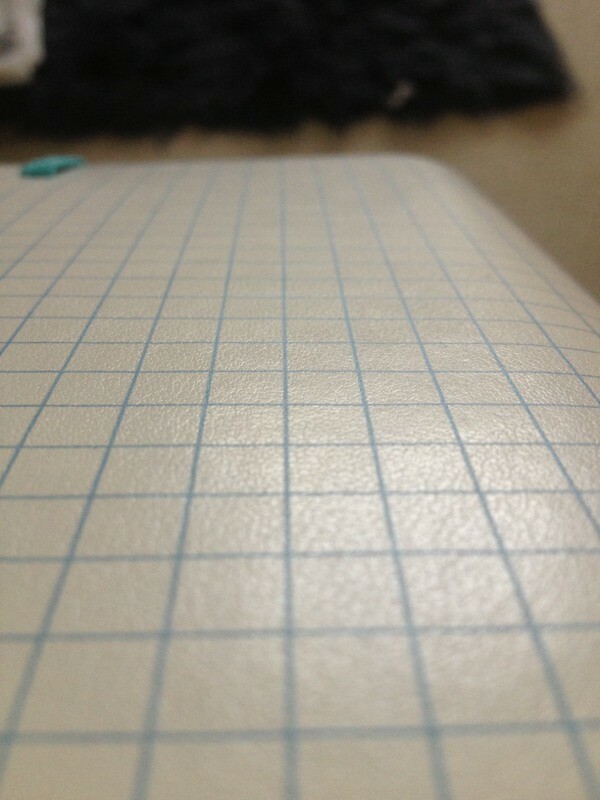 So if you are reading this Filofax, take note :). 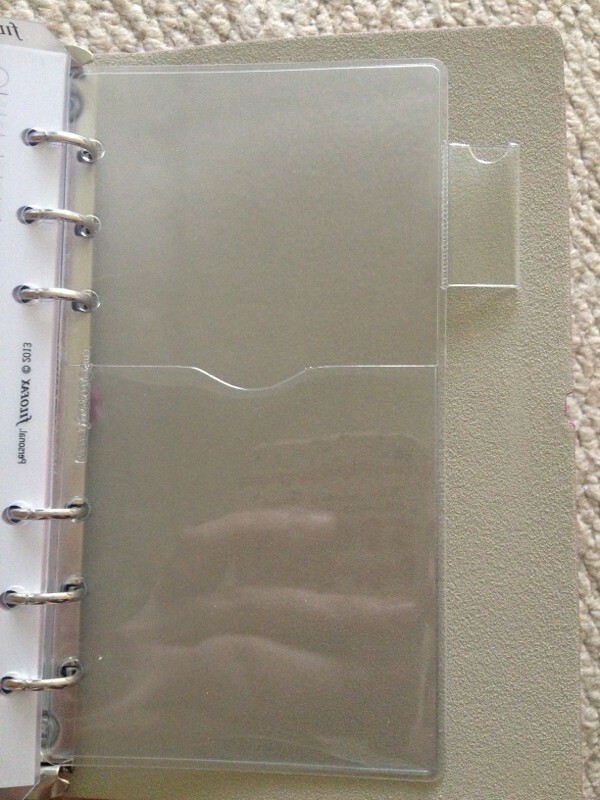 As the binder sent to me was an early sample, it didn't contain the full set of inserts, but you can find all details on the Filofax website as mentioned at the top. 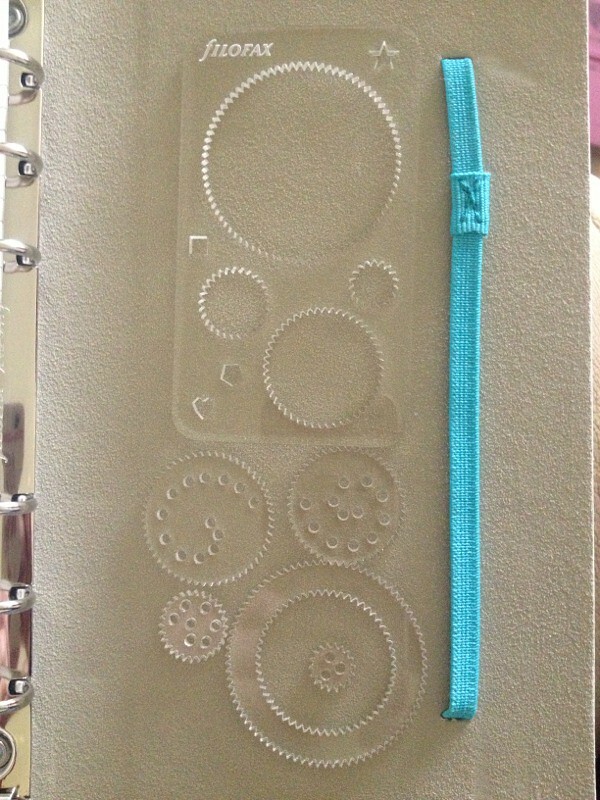 Filofax say "Be creative and individualise your cover using the spiral doodle tool provided. 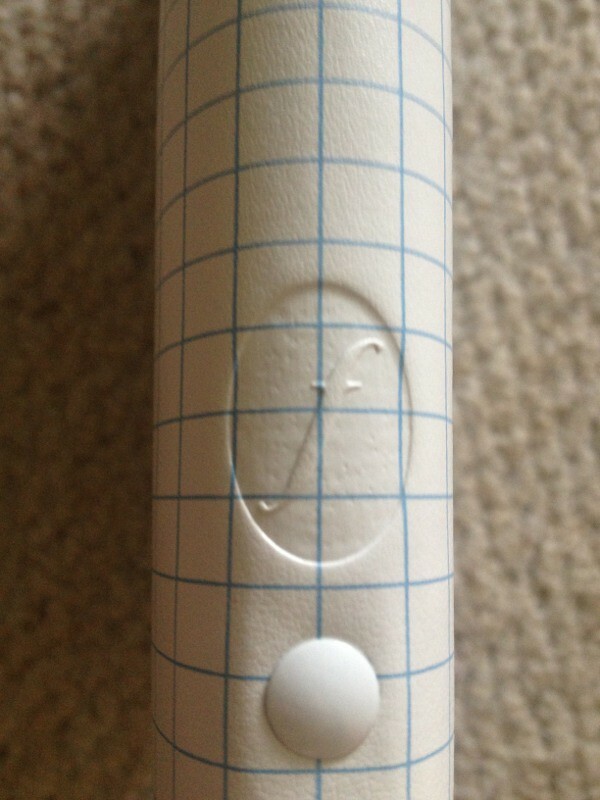 Includes a sample piece of material to try our your design". The Doodle is going to be fantastic for those people who love being creative. The spiral doodle tool is reminiscent of the Spirograph toy that was about in the 80's/90's which I loved as a child. I had a little play this afternoon on paper. If you love the Domino you will love the Doodle. It's minimalistic insides easily allow it to be used as a notebook, and lighter than a personal domino (if that is possible). The ability to design your own cover on the binder is unique and allows you to be as expressive as you would like to be. The Doodle is perfect for people of ALL ages. 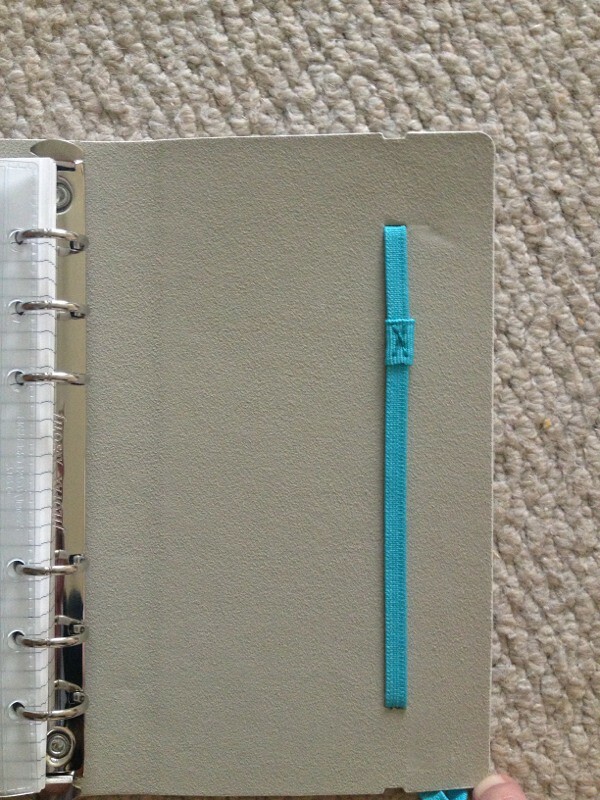 It would be an ideal first Filofax for a child, or an additional notebook for lists or projects. 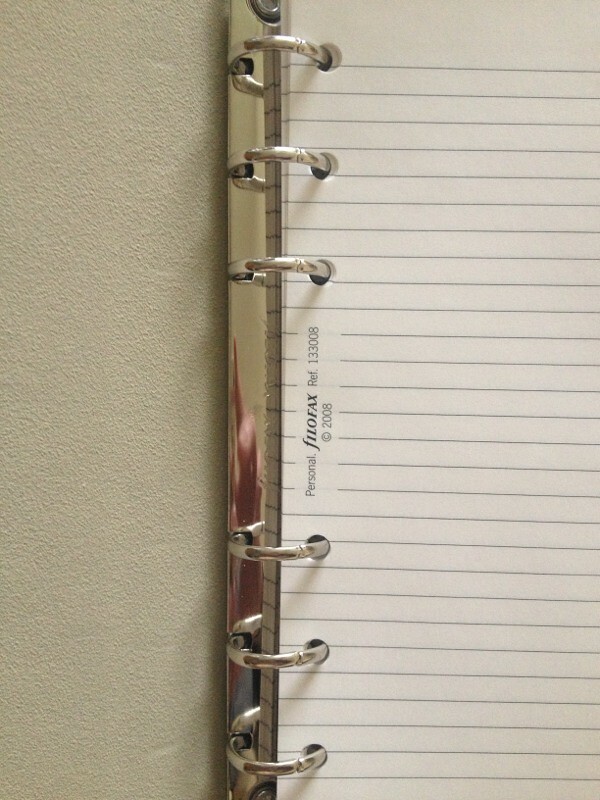 Diaries can be purchased separately from Filofax should you wish to have a diary in there. I love the Doodle and can't wait to start getting creative on it. Visit my blog next week to see how the designing is going, and discover how I am planning on using it. I love this! Can the spiral tool be used on the cover? Great review. I like the simplicity of this one. Oh... 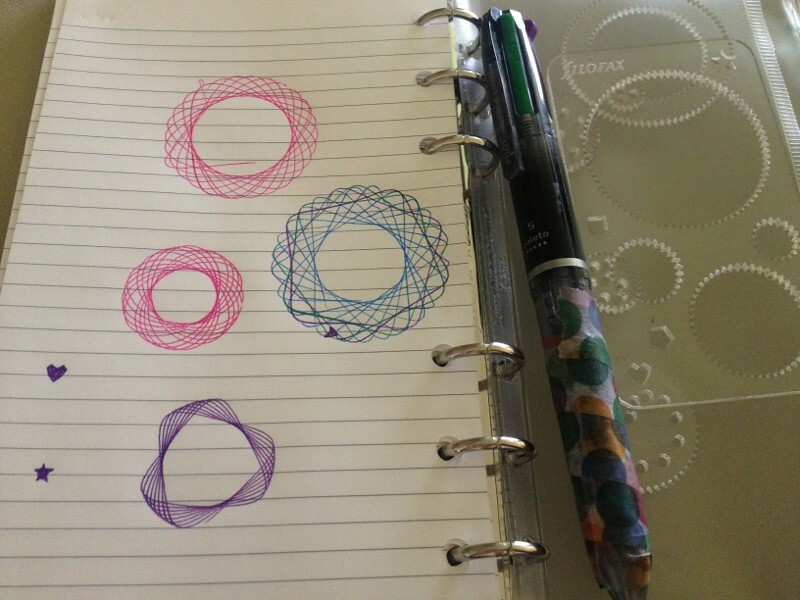 I had Spirograph as a kid... it came out in 1965! Haha! 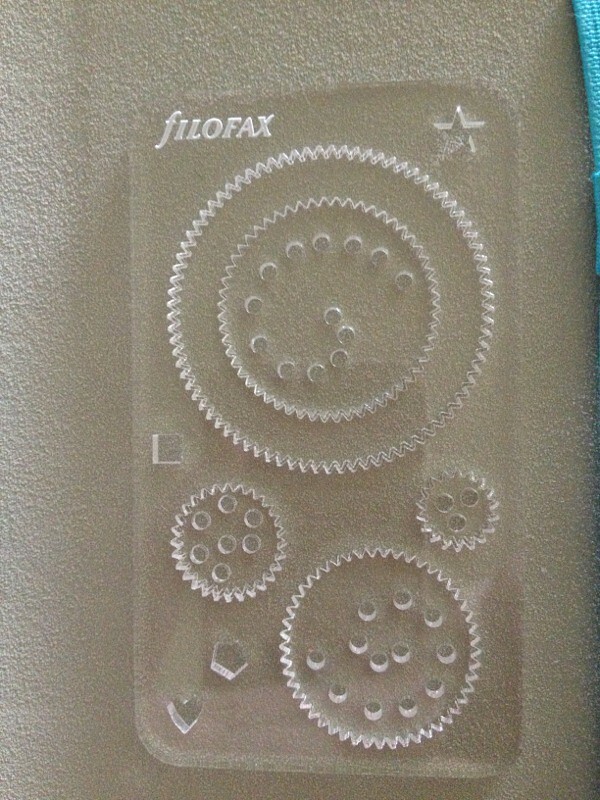 I was about to post about the age of the Spirograph! I got one for Christmas when I was 10! 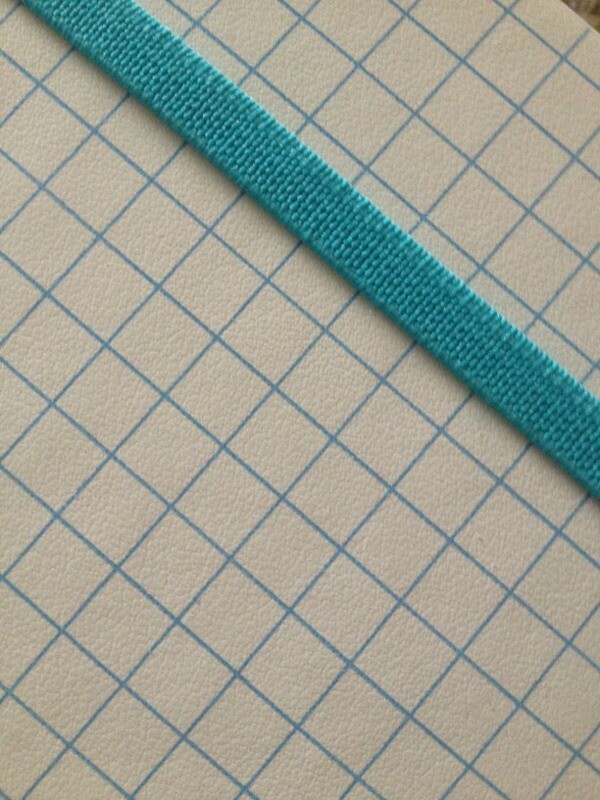 I see that you can also replace the elastic strap, when needed. In other models, in the Vintage Jack, the elastic strap is assembled in the back, so it is not replaceable (is that spelled right?). I am not a fan of compact but I sure do like the Doodle. I am a 30 something year old full-time mum who loves stationery, mobile phones, filofaxes and anything pink or purple.I am a strong believer in karma, what goes around comes around. Can often be seen with a glass of wine.